Dr. Jennifer Emerson has been in the field of dentistry treating people for over 15 years. 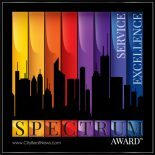 In that time, she has followed a patient-centered approach of providing high quality care which is tailored to each patient’s needs. A Seattle native, Dr. Emerson earned an International Baccalaureate Diploma (IB) at Mount Rainier High School. She went on to Yale University in New Haven, CT, to major in chemistry and receive her bachelor’s degree. Dr. Emerson then attended the University of Washington Dental School and stayed on to complete a UW General Practice Residency (GPR). 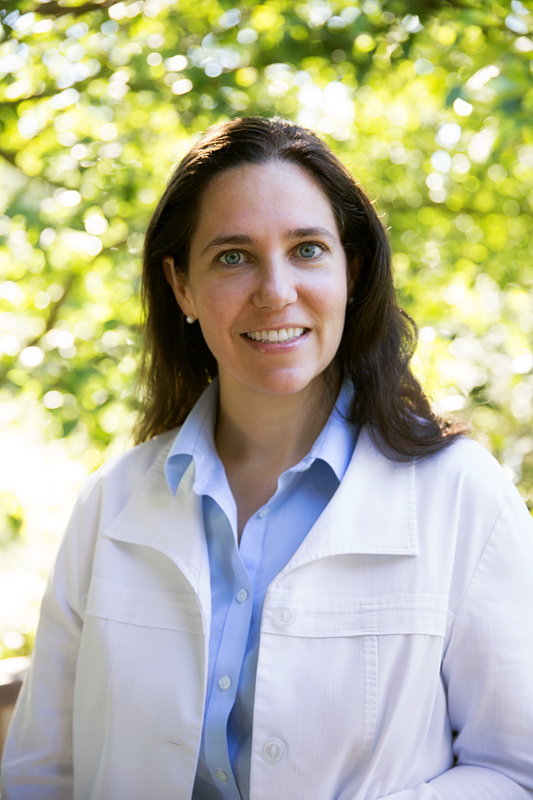 After completion of her DDS degree and her GPR residency, Dr. Emerson joined the faculty of the UW Graduate Dental School where she treated patients in the Dental Faculty Practice Program and taught graduate dentists in the GPR residency program. Dr. Emerson also began establishing a private practice at that time through an associateship in Bothell. After three years of practicing and teaching, Dr. Emerson pursued her prosthodontics training for 2 1/2 years in the University of Washington Prosthodontics Graduate Dental Residency Program from which she received the prestigious David Wands Fellowship Award. 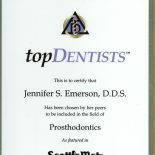 After balancing dental school, two dental residencies, a private dental practice associateship, and her UW Graduate Dental School faculty position (including eight years of practicing dentistry with her sedation and general dental license and pursuing comprehensive specialized UW Graduate Dental School training in prosthodontics), Dr. Emerson joined Dr. Thoms in 2010 to begin focusing on building her own dental practice outside of the UW University setting. Because of an injury, Dr. Thoms retired and asked Dr. Emerson to take over the full practice in January, 2011. Dr. Emerson celebrates her fourth year in this capacity in January, 2015. 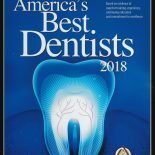 Dr. Emerson’s general dentistry and prosthodontia focuses include several years of collaboration with other specialist dentists in monthly study group meetings. This promotes Dr. Emerson’s consistency in offering her patients a particularly high level of updated comprehensive care for both dental functionality and aesthetics, as well as for the preservation of patients’ natural teeth and the intervention of possible dental problems. These are central to patients’ dental health and eating comfort which impact continued control of their quality of life. In private life, Dr. Emerson has a young vibrant family and a supportive husband who works in medicine. 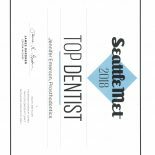 Even our office building has a story: The Uplake Dental Center, also know as the North Seattle Dental Center, has been treating patients since 1975. The site was selected as an ideal location for a comprehensive dental treatment center and provides a delightful view overlooking the Burk-Gilman Trail and Lake Washington.